I haven't read everyone's posts but I started FF slightly before you did. We did the opposite, money only to those in 1st and 2nd, after the ship. It's worked. But it still only limits the league to 2 winners, or 3 if 3rd gets money back. This year we changed it. Money to 1st and 2nd points (through week 14, reg season(, 1st and 2nd record (week 14), then 1st and 2nd place. If you're a good player, you'll win most, if not all. But it, at least, pays out to those that might have lost the championship but still beat everyone points wise or record wise. And tbh, this year has been the most fun because it doesn't give the ultimate reward to the team that took the ship (if they went on a lucky run). It's rewarding to the teams that played the best FF in all. Again, if you're good, you'll win most if not all. I usually take most points but this year i took best record and I'm in the ship. Other years I've been the best FF player, most points scored, but missed the ship off a bad week. So, imo, these payouts work best . Not all teams should be able to run through week 16 or 17, imo. That's like march madness, inviting everyone in. But payouts to top points does give those that don't make the playoffs a shot. Then to best record and then the top $ to the actual championship winner. vino replied to Bishop82's topic in A Little Help! I'll say it like this, no non-playoff team should EVER pick up players UNLESS they still have something to go for, which in yours, they do. Take week 16 out of your regular season and make week 15 your battle, imo, or even 14 tbh. Let those teams NOT in the playoffs to enjoy week 15 if you want, but week 16 screws the rest of you guys, obviously. We pay out best record, 2nd best record, most points scored during the season (through week 14), 2nd most points, the champion and then 2nd place, those in the ship get paid out the most, never an argument. If they truly deserve most of the $ then they will win most of it. But it will also give a shot to those that did great throughout but had a bad break in the playoffs, etc. But the unwritten rule is for leagues where there's no benefit to keep playing/using the ww, if you're out of the playoffs. vino replied to vino's topic in A Little Help! DaeSean and Jaylen, huh? Alright, thanks for your opinions fellas! vino replied to easilyscan's topic in A Little Help! definitely not an easy one. You've got Wilson against the Chiefs, might be a shootout or Seattle might run to keep it away from KC. Steelers are going against a very good D. I'm running Wilson this week as 1 of my 2 QBs, but I might give a slight edge to Ben. Wilson will score, I just don't see a ton of yards from him this week unless KC goes on a mad tear the first half and contradicts Seattle's wanting to run. vino replied to sully2112's topic in A Little Help! vino posted a topic in A Little Help! vino replied to dumbassmax2001's topic in A Little Help! vino replied to wilsonfan3's topic in A Little Help! PPR - Brate or Njoku ROS? PPR - I've got Njoku as my backup TE but he's been less than stellar this year. I can pick up Brate if I act quick. I'm just wondering your thoughts on the better pickup this week as a bye week fill in and also ROS? Both in a ppr and half pnt ppr leagues. My thoughts are Theo has the safer points, mb around 10-12 or so this week, J Adams a bit higher ceiling but could bomb. But I haven't really watched either of these guys this season, so. exactly. i had him in 2 and dropped him in both for Lat Murray before Montgomery was traded. smh. and yep, I have MVS going this week in 1 because of byes. 100% safe. No loopholes, it isn't happening this year. Yep, that's me! lol. I picked up Gurley 4th in one league and had first pick in my other. I took the whole allotted time to decide between Bell and Gurley but decided on Bell JUST IN CASE Gurley didn't have quite the year like last year. Luckily I picked up Connor immediately. But not having a top 19 pick play at all this season hasn't helped me at all. lol. because we run 3 plus a flex and all 3 starters will be on a bye next week. No, DJ Moore is not on the ww. The ww is completely empty atm of decent receivers. This is only a one week move though, drop Rams D? Dallas has @Phil, @Atl, NO, Phil again, Indy and Tb? Rams, after this week have KC granted, Det without Tate, chicago (meh, ok, we'll see), Phil at home (ok), then AZ for the championship. Just wondering why to drop the Rams for one week for Dallas when the Rams D has a better schedule, imo? 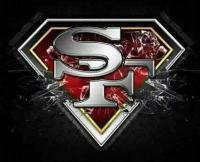 But, I'm a 9er fan, not Dallas, so what am I overlooking?